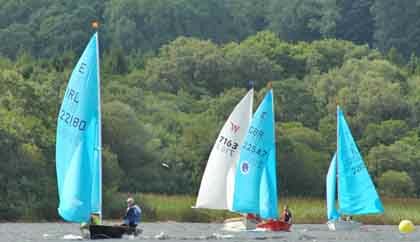 Cullaun Sailing Club is located on the shore of the Lough Cullaunyheeda (Cullaun Lake), in the heart of east Clare. Cullaun Sailing Club is a very active dinghy sailing club, with a fleet comprising mainly of Enterprise, Wayfarer and Laser dinghies. We have six Club boats including three rescue craft (all club events are attended to by Club Rescue craft). We also have two Wayfarer and one Enterprise dinghies (intended for use by members who do not yet have their own craft). Our sailing season extends from March to November and an extensive calendar of events is organised each year. 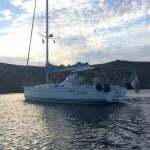 During the summer months sailing is organised twice a week, Tuesday (Beginners\Training Night) and Thursday evenings (Mixed fleet Racing). We also host the Enterprise Inland Championships Regatta, and our own open class regatta. 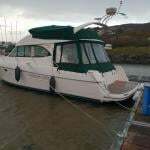 Coastal cruising in chartered keel boats are also organised off the South and West coasts, better kown as 'The September Cruise' have proven to be very popular. We even organise the odd BBQ whenever we get a chance. Membership is open to anyone with an interest in sailing. Potential members should contact a Committee Member, who will explain rules and also form a point of contact. Best to visit us on one of our event nights.